Gwalior is the rich musical city of MP (Madhya Pradesh), India. 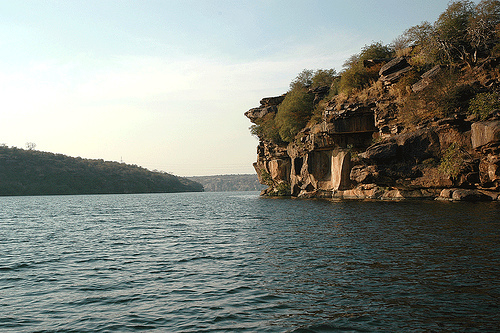 Gwalior is just 122 kms distant from Agra, whereas Bhopal is situated at 423 km distance. 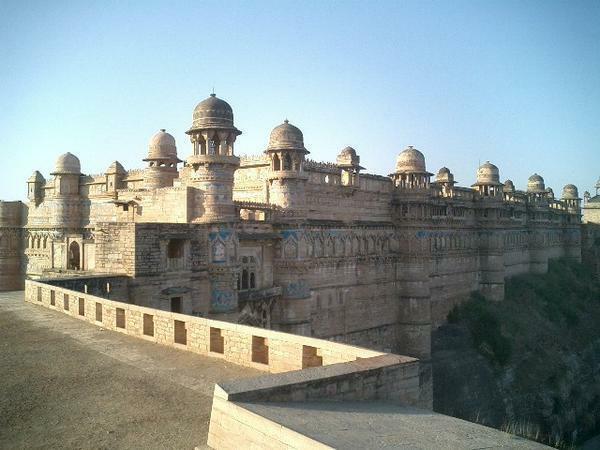 Gwalior Fort is world-famous and people are reaching the spot throughout the year. History behind the fort permits people to study concerning the several hands controlled the Gwalior fort and the city at different periods. 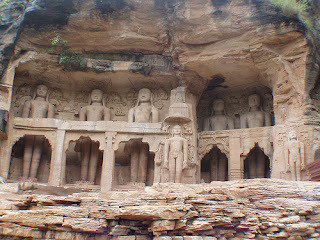 Tomaras rulers administered the city in 8th century, though Mughal came in this period and got the Gwalior under their region. 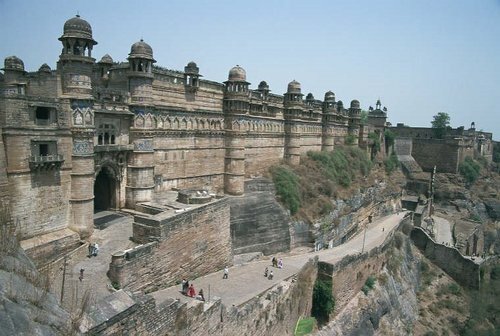 In 1754, great Marathas ruled the city and later Rani Lakshmi Bai; Tatiya Tope and East India Company ruled the Gwalior city. 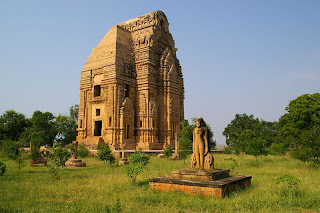 Gwalior is famous for educational centers as well like IITM (Indian Institute of Information Technology and Management), IITTM (Indian Institute of Travel and Tourism Management), Madhav Institute of Technology and Science (MITS), Scindia School, and LNIPE (Laxmibai National Institute of Physical Education). The big five government universities situated in Gwalior are Jiwaji University, RVSAU (Rajmata Vijyarahe Scindia Agriculture University), MMST (Maharaja Maan Singh Tomar music and arts university), LNU (Laxmibai National University of Physical Education) and IIITM. ITM University and Amity are two private universities of Gwalior city having numerous branches in different cities of India. 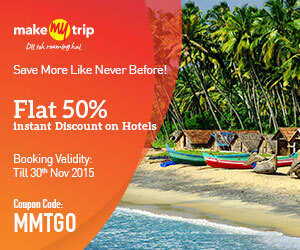 This fourth-largest city of MP is offering countless places for tourism. Gwalior is a strong cultural heritage with plenty of historical Indian tourist places. 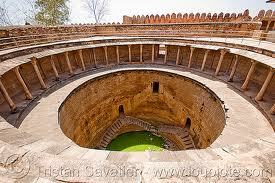 Gwalior is also known for birth of Indian classical music. Tourist will see the difference by walking the street in the night as many people of Gwalior start singing and doing practices. This musical city has given many big singers to Indian musical industry. The big name in Hindustani classical music singer is Tansen, who was from Gwalior. Vocalist Onkarnath Thakur was also from Gwalior. Maharaj Bada: must-visit place of Gwalior having the largest market of the city. 7 different ancient structures of diverse styles such as Chinese, Italian, Mughal, Russian, Rajputi, makes the spot different from other markets. 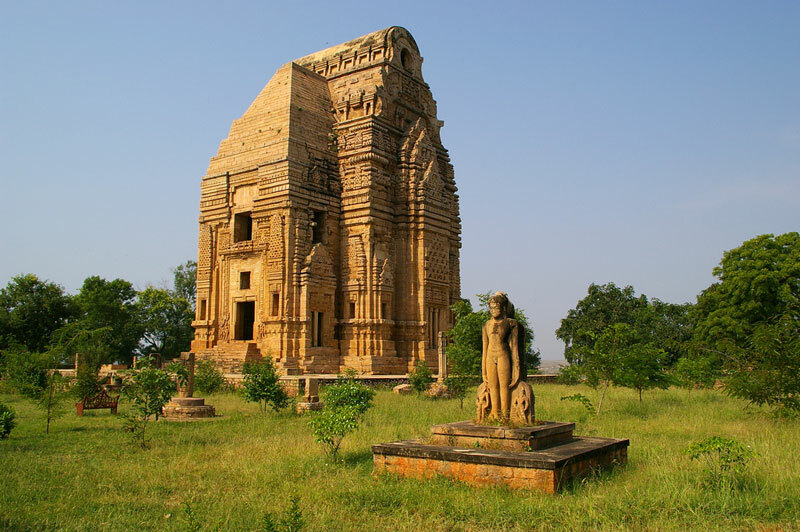 Gopachal Parvat: this is the town hall positioned on the hilly land Gwalior. 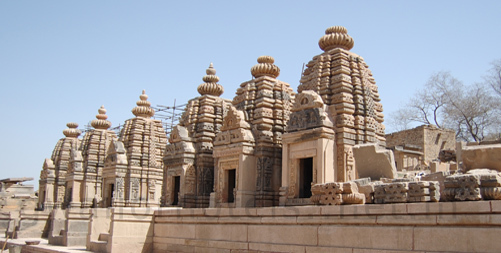 It includes exclusive sculptures of Jain Tirthankaras. Here tourist will also see the world’s largest idol of Lord Parshvanath seated on a lotus. The height of idol is 47 feet, and the breadth is 30 feet. The sequence of 26 statues of Jain Gurus is also special about this place. 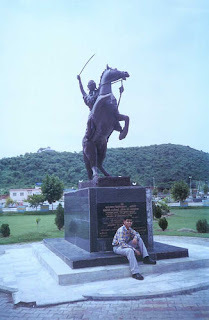 Tomb of Rani Lakshmi Bai: another tourist place for visitors is the tomb of Rani Lakshmi Bai who was the freedom fighter from Gwalior. 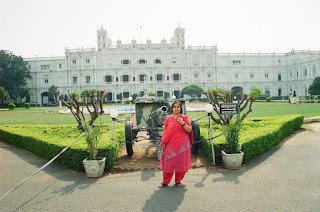 This Indian queen laid her life in 1857 in Gwalior fighting against British Government. 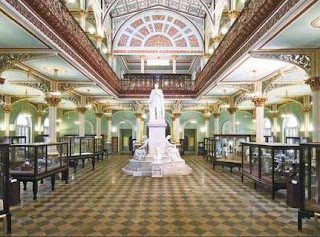 Municipality Museum: next spot for a tourist is a municipality museum of Gwalior positioned at small distance from the tomb of Rani Lakshmi Bai. 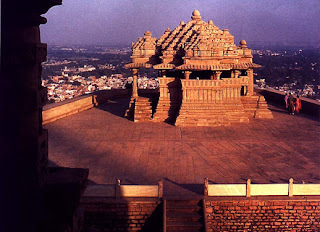 Sun Temple (Vivsvaan Mandir): recently constructed Sun temple is the also special place of Gwalior. It is sited near the residency of Morar. Jai Vilas Palace: This Mahal is turned as a museum of Scandia’s. 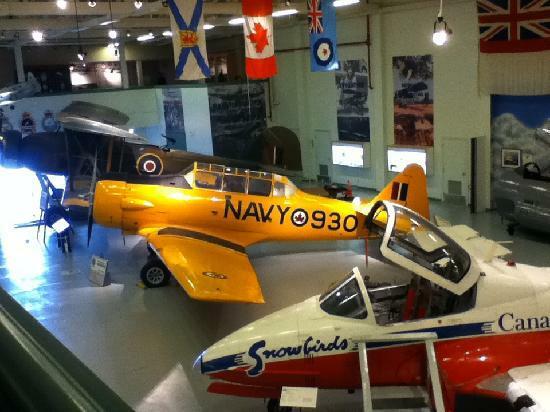 The worth seeing antique's sets placed in the museum is special. Here tourist will see the world’s biggest chandelier. 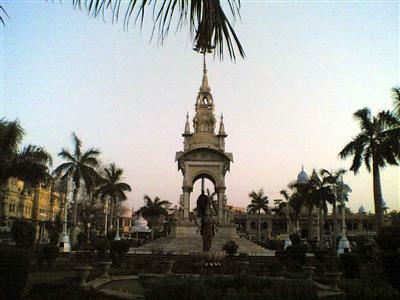 Gwalior Trade Fair: the biggest fair of India started in 1905 is conducted in Gwalior. 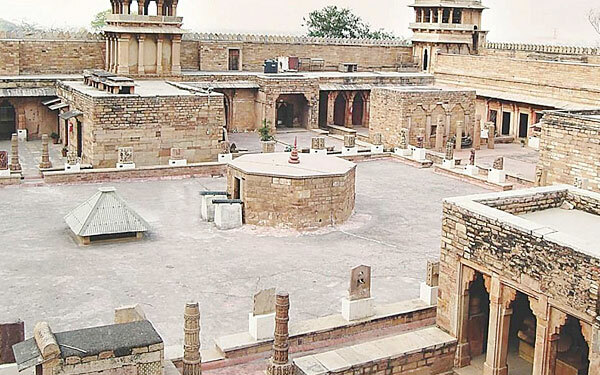 It was begun by Maharaja Madho Rao, one of the rulers of Gwalior. 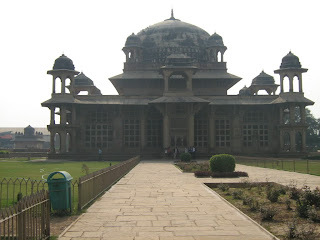 Shyam Vatika: other spots to visit in Gwalior is Shyam vatika, which is the world's largest indoor banquet hall. Tansen's Tomb: Tansen is having a very important role in Mughal Empire and his tomb situated in the city is special with the musical kind of architecture. Tansen was awarded many times for his music, and he was recognized as the gem of Mughal Ruler Akbar. Gaus Muhammad's Tomb: other tombs to visit is Gaus Muhammad's tomb. 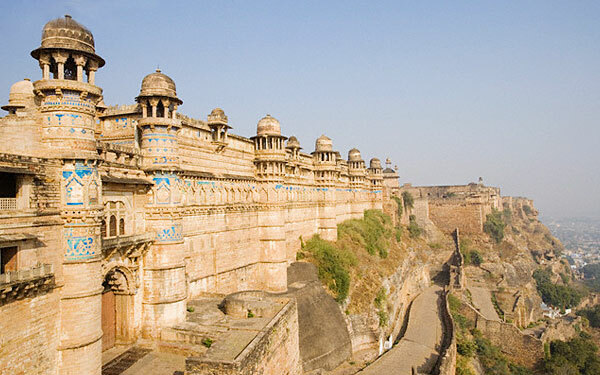 Gwalior Fort: Gwalior is mainly famous for fort, which is beautifully constructed by the rulers of Gwalior. Babar expressed this fort as the pearl of India, which is isolated on rock. Gwalior fort is the largest fort of India. Gujari Mahal: the palace constructed in 15th century is another special monument for visitors. This palace was structured by King Mansingh Tomar to express his love to Gujar Queen, Mrignayani. Worth seeing the statue of Shalbhanjika is special in this Mahal. Though, it is open after the special permission from the museum's curator. Saas-Bahu Temple: A temple constructed in 9th is placed in Gwalior. The artistic value of this temple makes is special and tourist from native plus other states are reaching Gwalior to pray in the temple. Visitors get puzzled by the name of this temple, which actually means temple of Shashtra Bahu that is another name of Lord Vishnu. 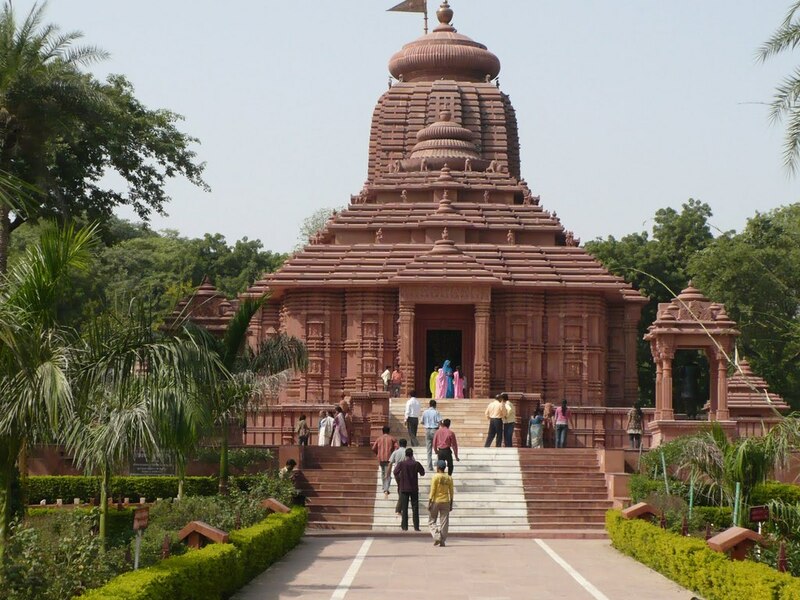 Teli Ka Mandir: a temple which is also known as Telangana Mandir is situated in Gwalior. The inimitable structural design of the temple makes it diverse from other shrines of the city. 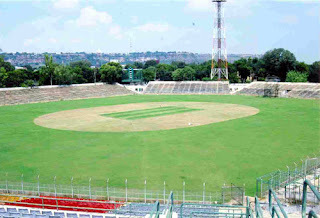 Roop Singh Stadium: the international level of cricket ground is also situated in Gwalior. 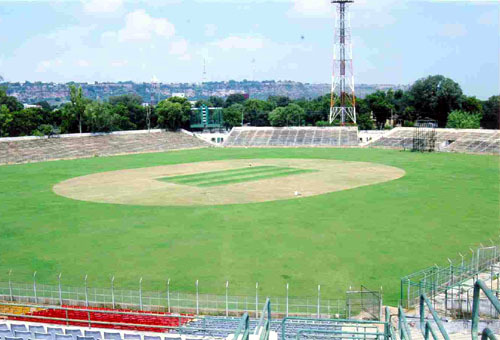 Approximately, 10 ODI (One-Day International) matches being conducted in this stadium. 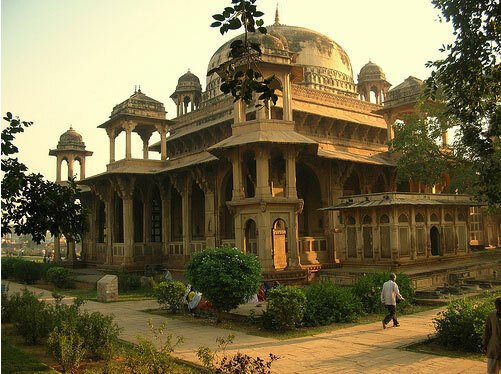 Zoo: those who love watching animals can visit the zoo of Gwalior. The inimitable collection of animals which include White tiger and many other wild animals is special for visitors. 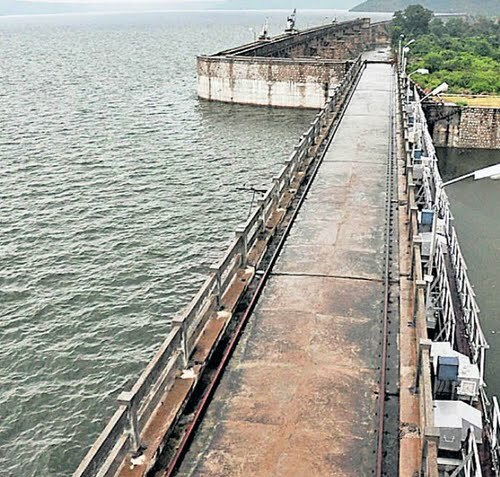 Tiger Dam: this dam is situated on the external area of the city. Tiger dam is the special place for a picnic, and tourist can enjoy the Sank River's side with some amazing natural views. Air: Gwalior is having a big international airport, though frequent domestic flights are available from Delhi and many other cities of India to reach Gwalior. Rail: the big rail network of Gwalior connects the city with Delhi, Jhansi, Agra and many other big cities of the country. Road: Roads of MP are somehow disturbed but reaching Gwalior.